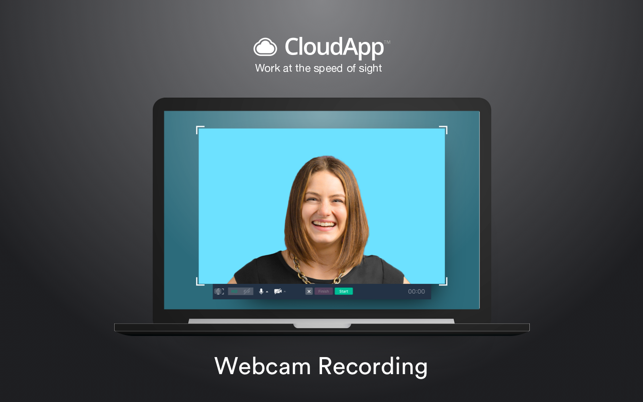 CloudApp is the world's leading visual communication platform. 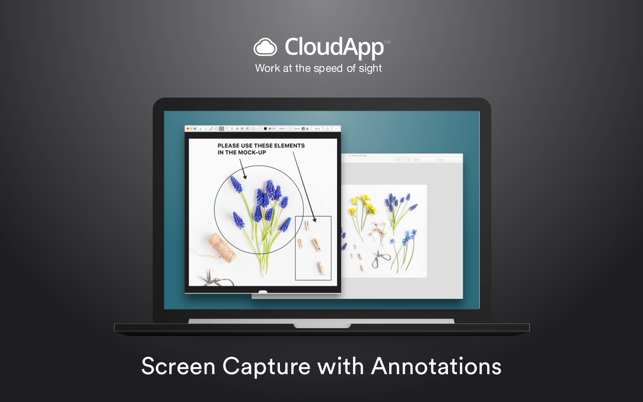 Create and share files, annotated screenshots, make GIFs, HD videos, screen recordings and screencasts on your Desktop — and upload them to the Cloud. 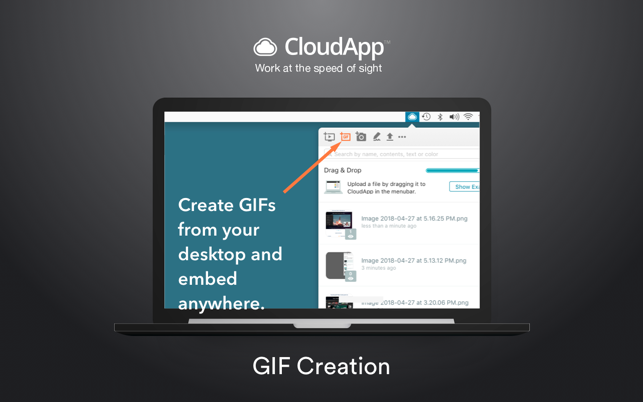 Drag a file to CloudApp or use our hotkey shortcuts to capture a screenshot, GIF, or HD screen-recording. A link to the file will automatically be copied to your clipboard that you can paste to Slack, Twitter, IM, email, or smoke signals. • Drag and drop any file, link, screenshot, screen-recording, image, code-snippets, URL, video to get an automatically generated URL link copied to your clipboard, ready to be shared. • External app support & integrations: Photoshop, Hipchat, Safari, Tweetbot, Slack, Skype, Maps, Notes, Finder, Safari, Sketch, TextMate, Terminal, Chrome and tons more. • Free $0 for life. Mojave dark mode compatibility makes sure CloudApp doesn’t leave you out in the dark! Permissions support for Mojave authorization of webcam and microphone (we’ve got you covered for all Mojave support). Restored the button for full-size picture-in-picture recording making it easy to create full-sized webcam videos and add personality to any message. Mojave issues with Screenshot and Annotate shortcut. Fixed! Fixed the login to share drops using Slack. Share what you will directly to your Slack-o-sphere from the native CloudApp client. 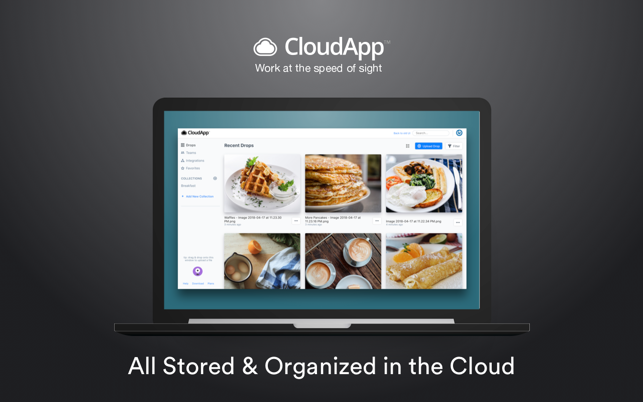 I have been using CloudApp daily for years and I can't imagine how much time and disk space it has saved me. I'm a web developer and I'm constantly sending screenshots and screen recordings to demonstrate things for my clients. It's a lot faster than adding attachments and waiting for them to finish uploading, because your share link is created in a few seconds, even if the upload takes awhile to finish. And the email sends right away, because it's just text. As a result, I'm nowhere near my Gmail quota because I rarely have to attach files. Support has been quick and helpful. A app, thanks! 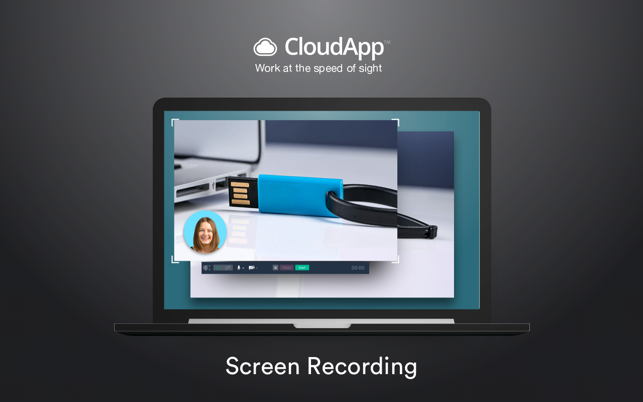 Theres not a day thay I dont use Cloudapp - great for file sharing - I use it in emails and also use its video for sharing info on my screen (sending it by email as well). I also use it for quickly sending PDF’s to my other machine and printing it there. Not to forget a great way to bookmark sites and I also frequenty highlight text - rt click and send to Cloudapp as well (it can serve as a clipboard for later viewing on any computer or iphone I have) - Lastly the screencapture tool is nice too with an easy way to make notes on the image as well! I’ve been a fan and user of CloudApp for years. I’ve tested many similar apps and services, and they have all paled in comparison to what Cloud App offers. It’s wonderful and simple to use tool that’s great for both freelancers and teams, making it very easy to take screenshots, annotate them, and send a link in a few shorts steps. But it’s not just screenshots which makes it even more powerful. The site works so much faster than other services. My only critique is that I wish they had an iOS app. Hopefully that’s something they will consider in the future.